One of the most innovative companies to have achieved world acclaim in the last half of the twentieth century, the National Dance Theatre Company of Jamaica blends the lore, music and dance traditions of Jamaica, the wider Caribbean, and the American South with both Modern and European classical ballet forms. 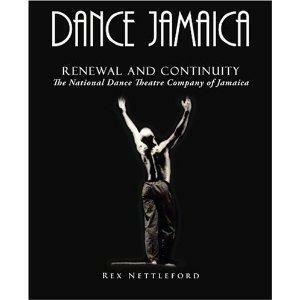 This richly illustrated history, as sequel to the earlier Dance Jamaica - Cultural Definition and Artistic Discovery, celebrates the Company's first forty-six years. This is the story of how a group of unpaid dancers, musicians, choreographers, designers and technicians became one of the most influential cultural voices of the Third World. The work describes the company's continuing efforts through the dedication, commitment and sustained application of its members to forge an organic vocabulary, technique and style of Caribbean dance art against the background of the wider society's history of severance, suffering and survival. The author shows how the Company achieved its ambition to secure for the Jamaican people a way of articulating their identity and of building faith in a historical reality denied by three centuries of colonial subjugation. The Tours of the internationally acclaimed National Dance Theatre Company of Jamaica has taken them to all parts of the world - from London's Sadler's Wells to Mexico City's Palacio de Bellas Artes, from the Theatre Royal in Sydney, to the Palace of Culture in Kiev. The Company has also performed at numerous venues throughout the United States, including at the Gusman Theatre in Miami, the New Orleans Theatre of Music and Performing Arts, the New York City Center Theatre.